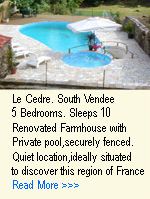 2 Farmhouse Gites with swimming Pool. La Varache. Eymoutiers, Haute Vienne. 2 Gites in restored 15th century Farmhouse. La Petite Folie. Crozant, Creuse. Cottage on two floors in the grounds of an ancient watermill, stunning views,peaceful location. 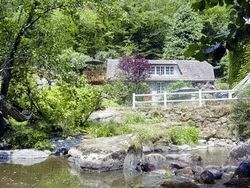 River cottage is located on the banks of the River Vige surrounded by 10 acres of private woodland. 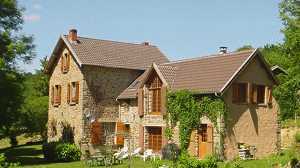 One bedroom gite on working Limousin cattle farm. Well stocked fishing lake, ideally located for Limoges. Prices from: €280 to €330 pw. Maison Lavaud. Cieux. Haute Vienne. 1 Bedroom, Sleeps 2. Changeover Saturdays. Newley renovated twin bedroom gite on edge of hamlet. Ideal base to explore Limousin's spectacular scenery. Prices from: £230 to £350pw. 2 bedroom cottage in the beautiful village of Montgibaud, ideally situated for exploring the Limousin and the Dordogne. Lakeside Cottage. Marval. Haute Vienne. 3 Bedrooms, Sleeps 6, Changeover Saturdays. On the Dordogne & Haute Vienne border, on the banks of our private 1 hectare lake, in 22 acres of woodland,tranquil setting, ideal for a quiet family get away. Price includes Linen & towels. La Madeuse. Le Chassin. Creuse. 5 Bedrooms, Sleeps 8 to 12 Changeovers Saturdays. The perfect base for a comfortable family holiday in rural France. 2 Bedrooms, Sleeps 4, Changeovers Saturdays. La Nouvelle Vie. 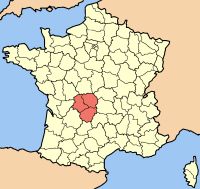 La Croisille-sur-Briance, Limousin. 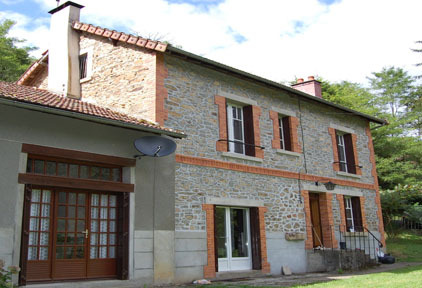 Recent renovated cottage in the heart of the Limousin.